WOW Just a Week till MAWTT is back to our Weekly challenge. Can you believe how quickly the Summer has gone!!! We cant wait to get started again, See You all Next Week!!!! Remember the challenge restarts on the 3rd of October!!!! MAWTT starts back in a fortnight. There is still some time to enter the Design Team Call. Just a wee reminder that we have a Design Team Call just now. Follow the link HERE to find out how to enter. WOW its just 3 weeks till Moving Along with the Times restarts after our Team have had a very well deserved Summer Break. WE are all really looking forward to getting back into making stuff. We have a DT Call just now. Pop down to the Post Below to see what it entails and to join our wee Family. 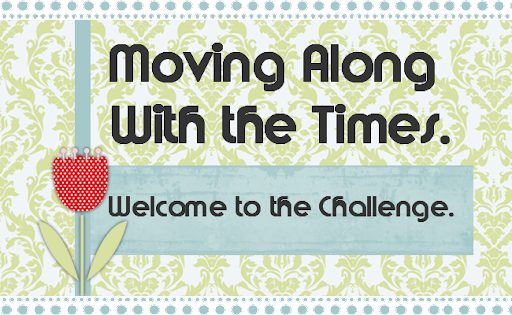 Moving Along With the Times Challenge is Back from our Summer Break on the 3rd Of October and we are looking for some New Design Team Members. If you are interested email me (Hazel) at didosdesigns@yahoo.com with Design Team in the Subject Line. In your email can you show me 2 of your favorite makes, your blog address and WHY we should pick you to be in the Team. We are happy to have folk on the Team who are on lots of Other Design Teams or if you are just starting out in Blogland. We will be back with the challenge in 4 weeks! (Thursday 3rd October) How quickly has the summer gone. Look out for a Design Team Call Coming Soon! Love from the Girls on MAWTT.